Steve Ditko Dead At 90. Topic: Steve Ditko Dead At 90. This happened a month ago, but I just found out. That's what happens when my only source of news is here... I love his work and this is very sad. Re: Steve Ditko Dead At 90. Flicking through a book of Star Wars trading cards yesterday and came across this oddity. 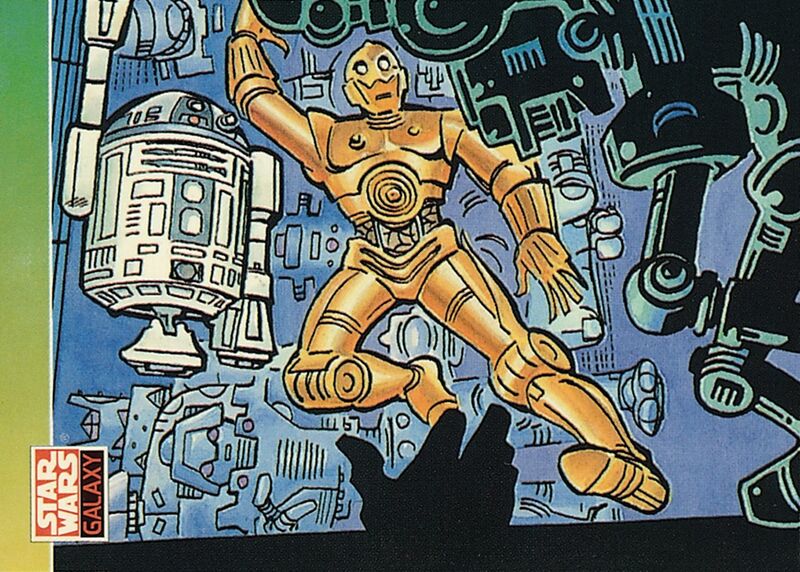 Something about R2D2's leg being up like that - strange. Ditko's art is so WEIRD.